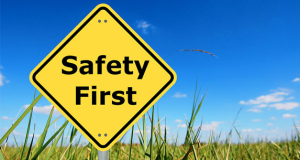 PCBUs (Persons Conducting a Business or Undertaking) are responsible for health and safety risk management on their work premises, and this applies to church-based environments as much as it does for commercial businesses. Workplace risk management involves a four-step process of identifying hazards, risk assessment, risk control, and reviewing control measures, with the purpose of improving health and safety and reducing the likelihood of work-based accidents and injuries for workers and volunteers. It also helps in ensuring a safe environment for contractors and visitors to the premises. (See our article here for more information on the basics of risk management if required). To provide a safe working environment that assists in promoting the health, well-being and safety of all workers and volunteers. To comply with all legal obligations and requirements. To reduce the risk of workplace accidents and injuries from occurring. Forming a safety committee to oversee the workplace risk management process. Drawing up a health and safety policy document. Consulting with an external health and safety professional for assistance. Periodically consulting with employees for their input regarding health and safety issues. The development of checklists to use in hazard identification (click here for more information). Ensuring a sound emergency evacuation plan is in place in case of fire or other potentially dangerous incidents. (See our article here for more information on this subject). Making sure all employees and volunteers are fully trained in their roles and are aware of their own responsibility in the process of workplace health and safety. Procedures for dealing with accidents and injuries including First Aid, rehabilitation, and recording and reporting of incidents. Temperature of the work environment – neither too hot or cold. Adequate ventilation and air quality. Sufficient lighting to prevent eye-strain and accidents, including natural light and electrical lighting where required. Staff facilities – including toilets, kitchen / refreshment facilities, clean drinking water, and First Aid supplies. Maintenance of cleanliness and hygiene throughout the building. Prompt cleaning of spills, and the placement of signs on wet floors to prevent slippages. Removal of trip hazards / obstructions. Providing workers with instructions for manual handling to reduce the risk of strains. The provision of adequate space and resources for workers to safely and comfortably perform their roles. Providing Safety Data Sheets for hazardous substances, and personal protective equipment where required. Taking the precautions required for working at heights. (See our article on ladder safety here for more information if required). If your church organisation employs any workers at all, then you are obliged by law to purchase workers’ compensation insurance. This insurance is designed to cover the costs of medical care and rehabilitation for injured workers, and to provide them with a replacement income during their recovery period. It also protects employers in that it replaces the right of workers to sue their employers for negligence at common law. Work compensation laws are ‘no fault’ which means that workers who are injured on the job do not have to prove negligence on the part of those employing them. For your church’s financial protection and to comply with legal obligations it is essential to ensure that your workers’ compensation cover is up-to-date and adequate at all times. For more information see our other article on this topic here. Inductions on risk management for essential safety measures, the use of fire extinguishers, and volunteer safety induction are available from the Training page on our CCI website. For more information on volunteers and safety, see our articles on Work Health and Safety for Volunteers, and Volunteers – setting the record straight. Your State’s WorkSafe authority and SafeWork Australia also have resources available how to create a safe work environment.